Have you ever used the phrase “Mirrors and Windows” when discussing the need for more diverse children’s books? If so – or even if you’ve only heard someone else speak these words in this context – give a tip of your cap to Dr. Rudine Sims Bishop. On Monday at the Youth Media Awards in Atlanta, Dr. Bishop received a standing ovation after winning the Coretta Scott King-Virginia Hamilton Award for Lifetime Achievement. How many of us were thinking, “It’s about damn time!” Dr. Bishop, Professor Emerita at Ohio State University, has done enough to push children’s literature forward for two or three lifetimes. 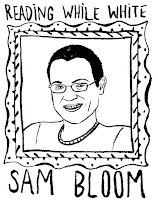 Check the Reading Rockets site for several video interviews and a handful of links (one of which connects to her seminal essay, Mirrors, Windows and Sliding Glass Doors). The idea behind Dr. Bishop’s work is simple: all young readers need more books with characters of all ethnicities and backgrounds, having a diverse range of experiences. This doesn’t mean that African American children only need to see more books with characters like themselves (although obviously they do), or that Ojibwe children only need to see more books with characters like themselves (might I add, in the present tense), and so on; but that African American children need to also see those Ojibwe characters, and vice versa. And also, children from non-marginalized groups (read: White kids) need to see these aforementioned books too. When White kids see White characters all the time, they get a distorted view of reality. White kids are overwhelmingly seeing “mirrors” but not “windows,” and that’s a huge problem. 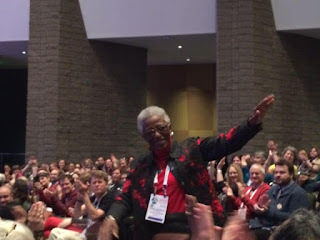 This may all be old news to some, but one of the reasons Dr. Bishop is so impactful is her years of service, of pushing and prodding the children’s literature world to think more broadly about what diverse books can do. And she has done so for all these years with characteristic grace and understated authority, leading by example. I had the great fortune of serving on the Coretta Scott King Book Award Jury these last two years with Dr. Bishop as my chair. When you’re on a book award committee, you get to know the other people in the room extremely well, and it isn’t always rainbows and ponies, as they say; things can get heated at times. Discussions hit brick walls, and committee members get feelings hurt – we have such personal attachments to the books we have read and loved! There were a few times I wanted Dr. Bishop to tell us what to do in these hard situations: “Come on,” I’d think. “You’re RUDINE SIMS BISHOP!! You have more knowledge than the rest of us combined! DRAW US A MAP!! !” But that isn’t the way Dr. Bishop works. She is not someone who is going to tell you what to do, or what to think; Rudine Sims Bishop does not direct. When Rudine speaks, the whole room leans forward, and not just because she has such a quiet voice. Dr. Bishop exudes authority, but not the kind that demands one snap to attention. Her authority lies in her knowledge, yes, but above all in the graceful and dignified way she carries herself. All of this is to say: thank you, Dr. Bishop. Thank you for your tireless and continued work. Thank you for being a shining example of true leadership. Thank you for this post. Appreciated yours and Dr. Bishop's perspectives. 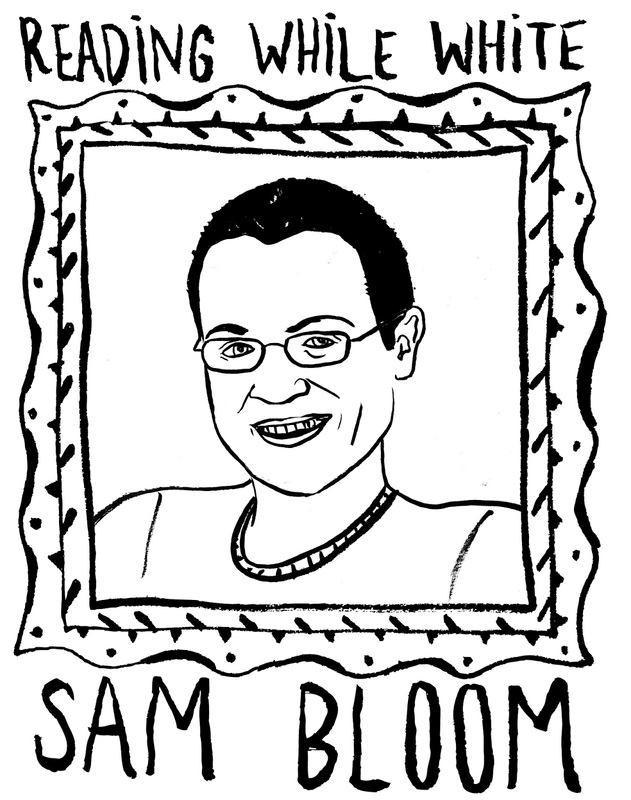 Thanks for this excellent piece, Sam. I read it right after the awards were announced, and have been meaning to write to you ever since. I'm glad to learn more from such a personal piece about Dr. Bishop's work. She is very inspiring and I'm thrilled she won this award. I've missed you on the Calling Caldecott Blog. And now I'm guessing you weren't there because of serving on the Coretta Scott King awards committee. Thanks, Allison, and good to hear from you! Yes, my ability to keep up with CC has been hampered quite a bit these last few years. I'm still on CSK but hope to follow Robin and Martha and the gang a bit more this year. Thanks for reading! Thanks for this dedication. She deserves so much more...citation in the least. I am appalled that the website bearing the name of her theory, it's more than just a metaphor, does not include a reprint of the original essay. The links at RIF and the Colorado school district (where Reading Rockets directs to) are no longer working. Can you persuade her to post her articles on Research Gate or a personal website? Young scholars like me are anxious to cite her, but I don't have access to the text. I love the thought of Rudine sharing her articles in a place where other scholars can gain access to them. I'll mention something to her about that and see what she says. Why are non-white children referred to as “children” in this piece, while white children are referred to "white kids?" Discrimination goes two ways. Writers are taught to pay attention to their unconscious bias, but it comes out clearly in this piece. This is a wonderful topic about a wonderful woman and an incredibly important movement, but it seems in recent writing that the pendulum has swung away from bringing equality and love to non-white children to disparaging children who are white. All children are beautiful and important, even white children. Please don’t forget that. Thanks for the post. I recently found out about the great work of Dr. Rudine Sims Bishop, even though the idea of windows and mirrors has been part of pedagogical practice and facilitation for much longer. I noticed the paragraph about academic credit being taken by white folk and would like any other information that you can provide, in regards to Dr. Sims Bishop. The internet seems to be barren on this topic. Thanks again for such a much needed post! All my best!